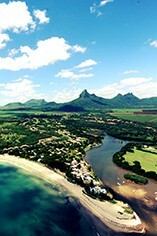 In the heart of the Medine Sugar Estate on the tropical island of Mauritius—the jewel of the Indian Ocean – lies the Medine Distillery which has been producing the finest Mauritian rums since 1926, making it the oldest working distillery on the island. Named after one of the rarest birds in the world which flies free in the skies of Mauritius, The Pink Pigeon is a single-estate Rum made uniquely with the addition of Bourbon vanilla. This exceptional spice is hand-pollinated and hand-picked in the rainforest canopy of Madagascar and the rich volcanic soil of Réunion. The natural vanilla combined with the exotic flavours of orange peel and orchid flowers make this rum as exquisite and rare as the Pink Pigeon bird itself. The rum’s rich and creamy mouthfeel makes it ideal for luxurious cocktails and revisited classics such as Daiquiris and Mojitos. Named after the rarest stamp in the world and produced by the Medine Distillery in Mauritius, Penny Blue is a limited edition XO rum which has been matured in Cognac, Whisky and Bourbon casks. Created in small batches, each one with its own personality, the rum is bottled on the estate and is, by definition, rare and finite. 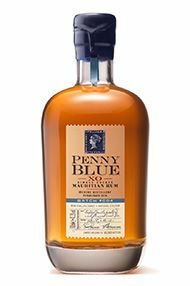 Penny Blue is always natural in colour and is not chill-filtered in order to preserve the heart of the rum.